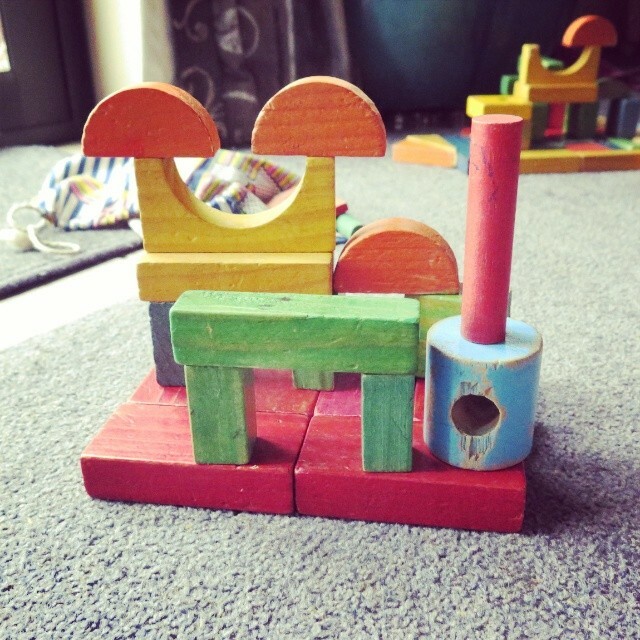 A morning spent on the carpet building pig pens and houses. Pig pens/houses because a little girl with golden hair has been hearing of the three little piggies and we had to build houses that would be safe from the big bad wolf. So, is this a new blog?